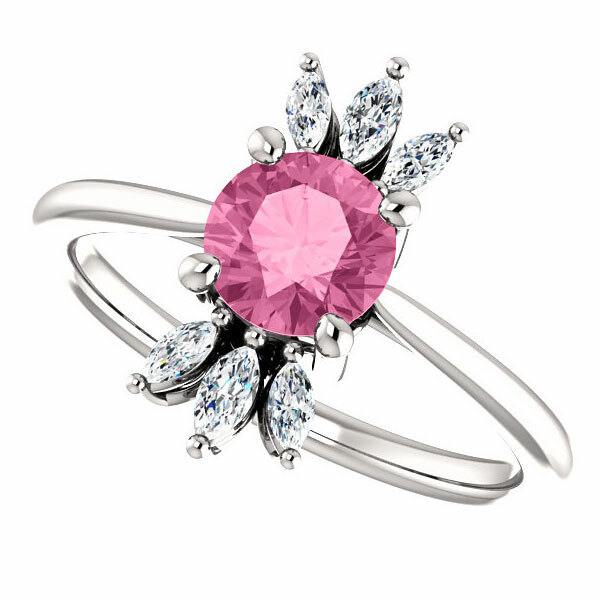 Exquisitely beautiful, our genuine pink sapphire and marquise diamond petal ring is crafted in your choice of 14k white gold or 18k or platinum, from Apples of Gold Jewelry. 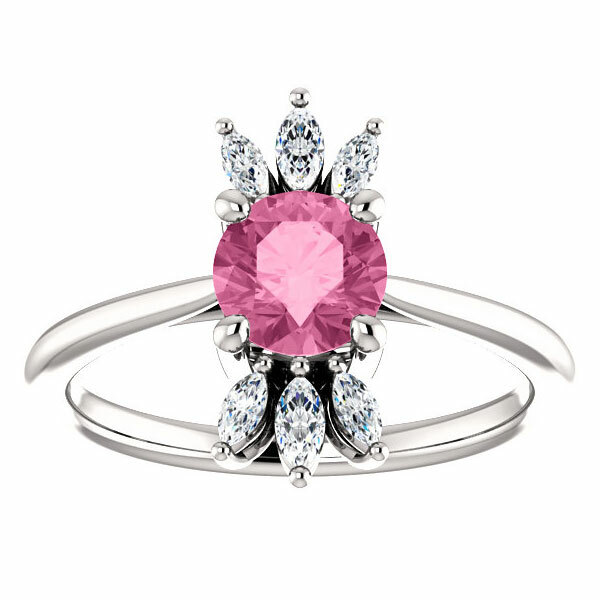 The center of the ring is set with a hiqh quality, eye-clean, genuine 6mm pink sapphire gemstone, measuring approx. 0.96 carats. 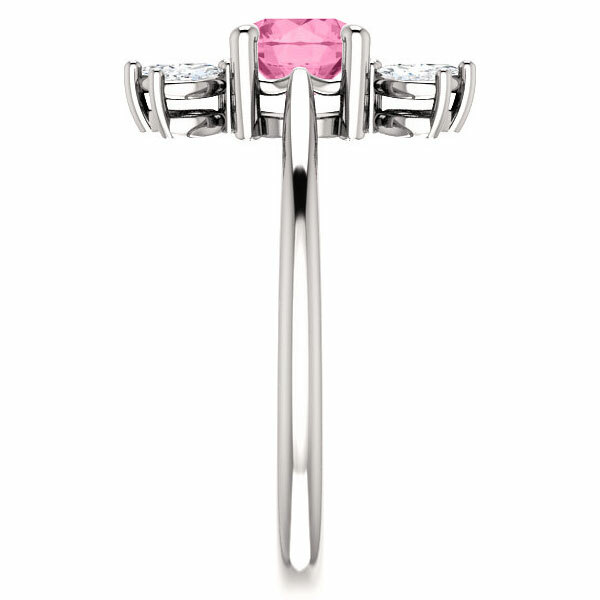 The pink gem is surrounded by six white marquise diamonds totaling 0.24 carats (1/4 carat) in G-H Color, SI1 clarity. The band measures approx. 2mm wide and has a top height of 5.5mm tall. This ring is made to order in the U.S.A. Please allow approx. 7-10 business days before shipping. 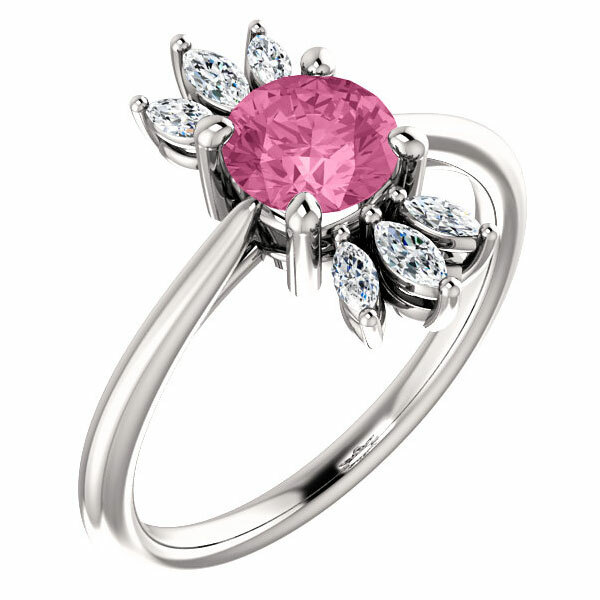 We guarantee our Pink Sapphire and Marquise Diamond Petal Ring, 14K White Gold to be high quality, authentic jewelry, as described above.